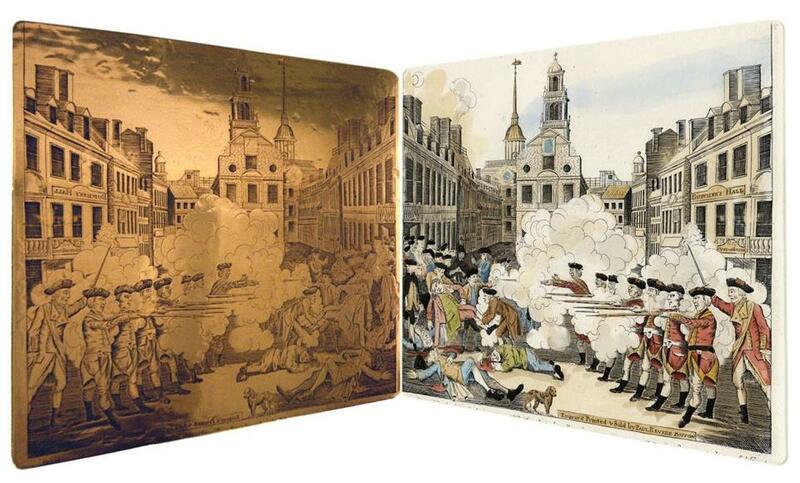 At the entrance to the Treasures Gallery is Paul Revere’s copper plate with his rendering of the Boston Massacre. The Commonwealth Museum is one of Boston’s hidden gems. I don’t use that term “gems” loosely here. This museum has within its walls everything you could ever want to know about the history of Massachusetts. On display are documents and artifacts dating to 1630, when John Winthrop and the Pilgrims landed here from England. And, admission to the museum is FREE. Located on the campus of UMass Boston since 1986, the Commonwealth Museum shares a stunning granite building with the Massachusetts Archives. The archives has records dating to the mid-17th century. The letters of Governor John Winthrop, John Adams’s vice presidential papers, and the records of the Sacco and Vanzetti case are but a few of the 20 million documents in the archives. The museum has some great neighbors on Columbia Point. Directly behind it are the John F. Kennedy Presidential Library and Museum and the Edward M. Kennedy Institute. 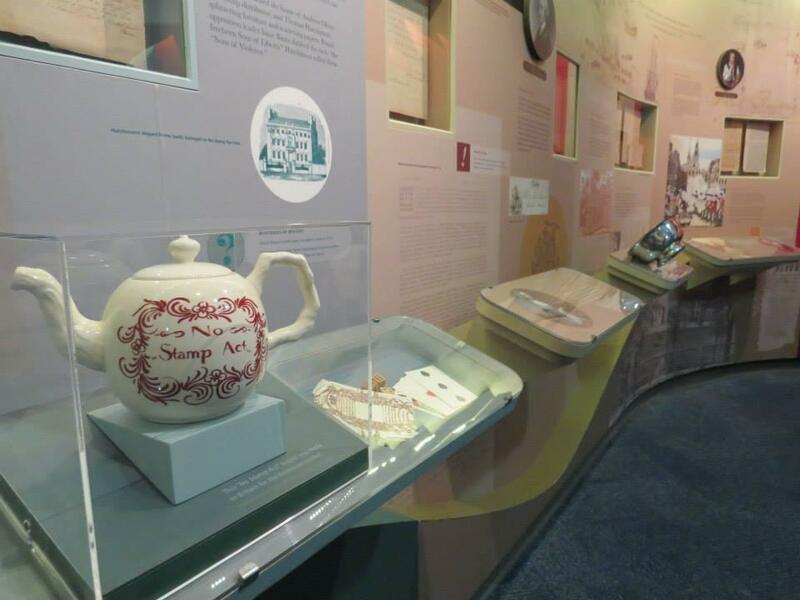 The Commonwealth Museum is a trove of interactive exhibits. Kids can stand on a dais pretending they are a judge in the Salem Witch Trials or push buttons to open books with images of original 17th century documents. At the screen show, actors portraying John Hancock and African American patriot Prince Hall describe the papers they are writing about the British in Boston. After the presentation kids can answer questions to determine if they are a Patriot or a Tory. The four main galleries hold rare artifacts that for years many historians have coveted. On yellowed parchment, is an account written by John Hancock, advising merchants to protest taxes levied by the British. Along with this is Hancock’s cover letter that accompanied Massaachusetts’ copy of the Declaration of Independence. This is the only place in the world that has John Adams’s expense sheets for his trips to the Continental Congress in Philadelphia. If that doesn’t impress you, take a look at Paul Revere’s bill for horses he used in a series of rides he took delivering secret packets. 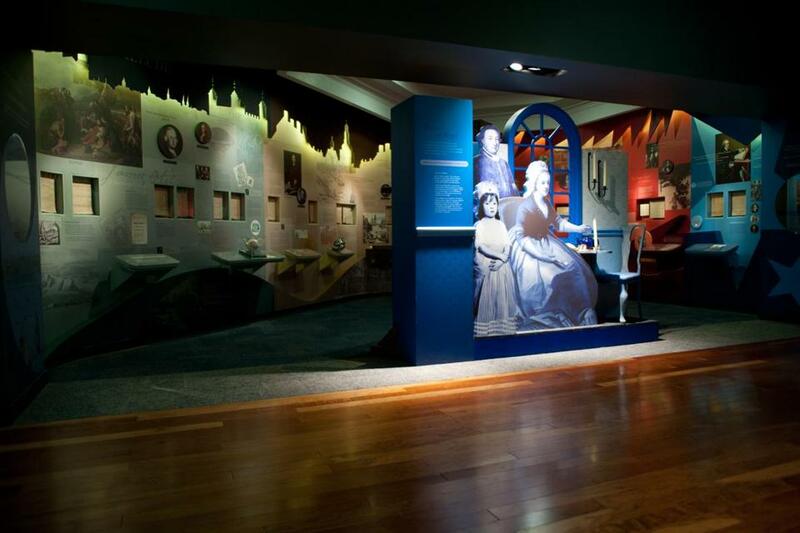 Various displays explain the works of abolitionists William Lloyd Garrison and Frederick Douglass; and reformers Lucy Stone, who spoke out for women’s rights, and Dorothea Dix, who fought for reform in mental institutions; and Horace Mann, who argued for public education, particularly for children working in factories. In the 19th century, many children of immigrants, instead of attending school, worked in the textile mills in Lawrence and Lowell to supplement their families’ incomes. At the entrance to the Treasures Gallery is Paul Revere’s copper plate with his rendering of the Boston Massacre, March 5, 1770. Inside, encased in glass, are the Charter (1629) that King Charles I gave to John Winthrop when he sailed from England, and the rewritten Charter (1691). Massachusetts’ copy of the Declaration of Independence (1776) – each of the fourteen states received one. There is the Bill of Rights (1789) and the Constitution of the Commonwealth of Massachusetts, written by John Adams (1780). Up until 2009, when Cambridge Seven Architects designed this specially equipped wing, these fragile, original documents were seen only on request. Thanks to the Department of Engineering at the MIT installing specialized lighting that uses argon gas, these gems are on display permanently. Frances J. Folsom can be reached at francesfolsom@comcast.net.